As a child, I spent my weekends on geology field trips with my parents, Louis and Viola Oberson. 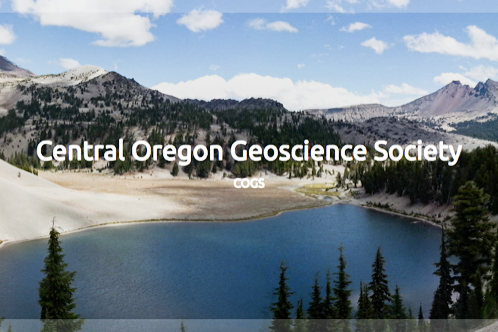 During the 1950s, we caravanned with GSOC all over Oregon to study firsthand and explore. My mother had never really been interested in the sciences until she met and married my dad, who was a charter member of the GSOC, and taught high school science. They met at Roosevelt High School where my mother taught English and Journalism. It was not long before she realized her inner rock hound, began to enjoy the trips to various points of interest, and soon was hooked! From the early days in the 1940s, my mother began to take on a more active role in the Society by writing and directing skits for the annual picnic entertainment, becoming the newsletter editor, organizing the weekly lunches, and eventually becoming President in the Society's 50th year. Her journey with my dad from knowing little about geology in the beginning to becoming President is exemplified in several pieces of writing. She found a way to incorporate her training in journalism with her newfound knowledge of geology by writing about her friend and amateur paleontologist Lon Hancock and their devotion to the creation of a Natural History Museum. Geology Beginner or Seasoned Professional? Learn more about our monthly Meetups! Contact us to arrange for public speaking on Cascadia Earthquake Preparedness. Visit Our Sister Club in Bend!